The digestive system, as its name implies, controls the breakdown and absorption of nutrients in the body. It is made up of the GI tract (a series of hollow organs through which food and liquid pass), as well as the mouth (teeth, tongue, and salivary glands), liver, pancreas and gallbladder. These structures assist in the breakdown of nutrients as they pass through the GI tract. An optimally functioning digestive system requires all of its parts to be healthy and working properly, and by doing everything possible to make this happen, you can assure you are getting the most from your food. 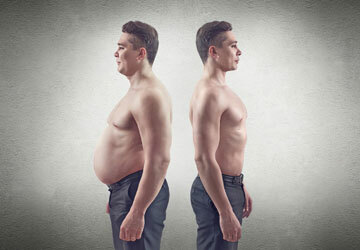 In this article, I will break down digestion from start to finish and look at the variables that impact this process. Digestion actually starts before food even enters your mouth. 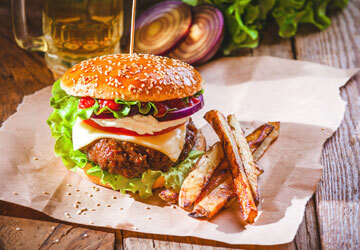 The smell (and sometimes sight) of food triggers your salivary glands to release saliva. Saliva is a substance that, among other things such as killing bacteria and protecting tooth enamel, lubricates food, making it easier for it to pass through the GI tract. It is 99.5% water. The remainder is made up of proteins, electrolytes, mucous, and enzymes that help begin to break down foods. The major food-digesting enzymes are amylase, which breaks down long chains of carbohydrates into smaller, simpler sugars, which are then either absorbed or further broken down in the small intestine, and salivary lipase, which assists in breaking down fat. Saliva also functions in carrying food to the taste buds. 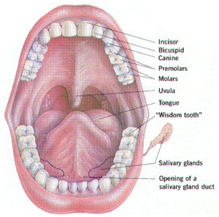 Potential Issues: Since saliva begins the digestive process, inadequate amounts can interfere with optimal digestion. It also predisposes you to cavities and bad breath. Smoking, dehydration, diabetes, anxiety medications, antihistamines such as Benadryl, antidepressants and appetite suppressants can all interfere with salivary production. 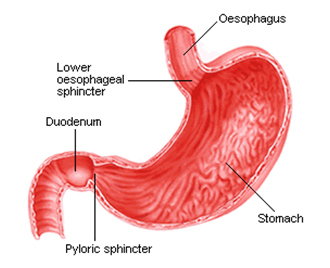 Food passes from the mouth to the stomach through the esophagus. This tube has two muscular rings, one at the top near the mouth and one where it connects to the stomach. These rings keep food from moving in the wrong direction. Potential Issues: When the lower muscular ring is too relaxed, acid from the stomach can escape into the esophagus, a common condition known as acid reflux (or GERD- gastroesophageal reflux disease), which increases the risk of esophageal cancer. Risk factors for GERD include diabetes, obesity and smoking, which are all preventable or controllable by living a healthy lifestyle and eating a sound, nutritious diet. Food combines with substances released from the walls of the stomach to form a thick mass called chyme. The stomach releases hydrochloric acid, which lowers the stomach’s pH. Protein loses its 3D configuration in this acidic environment. Another enzyme released from the stomach, called pepsinogen, is turned into pepsin, which then begins breaking down the proteins into smaller peptides, or strands of amino acids. Intrinsic factor, released into the stomach, is responsible for binding to vitamin b12, which is absorbed into the bloodstream at the end of the small intestine. The stomach also releases mucous, which protects the lining of the stomach from damage from the acid it releases. Potential Issues: Food empties into the small intestine via gastric emptying. Liquids empty more quickly than solids, which can be beneficial when rapid absorption of nutrients is desired (i.e. pre, during and post workout). However, a diet that consists of mostly liquids will often leave you feeling hungrier due to the decreased absorption time. When gastric emptying is abnormally slowed, as can occur in diabetes and with the use of proton pump inhibitors1 like Nexium, food may sit in the stomach for long periods of time. In addition to allowing harmful bacteria to grow, food may harden into something called a bezoar, which can be life-threatening if it blocks food from passing through the GI tract. 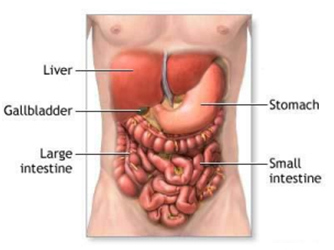 Food passes from the stomach to the duodenum, which is the first part of the small intestine. When acidic substances from the stomach move into the duodenum, it releases the hormones that stimulate the gall bladder to release bile and the pancreas to release bicarbonate and enzymes. The liver makes bile and the gall bladder stores it. It functions in the digestion and absorption of fats. Some simple sugars are absorbed in the small intestine, while other pass undigested into the large intestine, where intestinal bacteria may break them down. The brush border is the term for the cells in the small intestine that absorb carbohydrates and proteins. They look like little fingers, which increases the surface area and allows for the more complete uptake of nutrients. The small intestine also absorbs vitamins, minerals and electrolytes. The large intestine, also known as the colon, is responsible for extracting water from undigested food matter and carrying waste out of the body. Additionally, bacteria which live in the colon can break down fibers and certain carbohydrates (polysaccharides) into short chain fatty acids, which are then absorbed into the body. These same bacteria can also produce large amounts of vitamin K and biotin (a B vitamin). This becomes important when dietary intake of these vitamins is low. 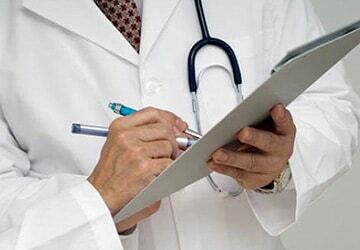 Potential Issues: Antibiotics can kill the beneficial bacteria in the colon, which can then lead to vitamin deficiencies and a host of other issues, the most serious of which is an overgrowth of a bacteria called Clostridium Difficile, which causes severe diarrhea and sometimes death. How Can I Make Sure To Keep My Digestive System Healthy? The digestive process is long and complicated with many working parts. There are a number of supplements that claim to improve digestive health, and some may be helpful, but I will discuss these in a future article. The better your general health, the better your digestive system will be. Therefore, eating a diet rich in fruits and vegetables and avoiding foods to which you react poorly is one step. 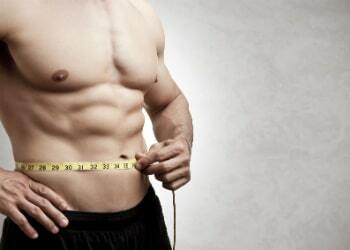 Maintaining a healthy body fat percentage is another. And staying away from medications and antibiotics when there is no clear, beneficial reason to be on them will give you the best shot at optimal digestive health. Normally, very little bacteria live in the small intestine. If your small intestine doesn’t contract properly, has been damaged by injury or surgery, or if you take certain medications like proton pump inhibitors for acid reflux or ulcers, bacteria can grow in the small intestine. This is called small intestinal bacterial overgrowth, and it can cause nausea, bloating, weight loss and vitamin and mineral deficiencies. Leaky gut syndrome is a controversial diagnosis, usually dismissed by mainstream physicians, in which the small intestine loses its ability to keep dangerous particles (toxins, bacteria, parasites) out of the body so that they are able to “leak in” to the bloodstream. Proponents of this idea contend that leaky gut can cause a variety of ailments from migraines to fibromyalgia. Leaky gut syndrome is not a recognized medical diagnosis and many health experts believe was made up as a means to make money on herbal remedies that purport to treat it. Green Papaya Powder is a very effective natural aid to digestion. 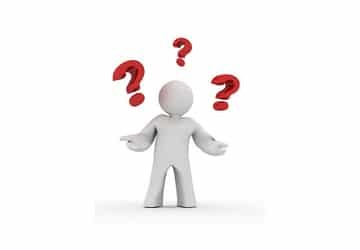 Enzymes are critical in life; they are the body’s labor force. Green Papaya contains the enzyme papain a protein –digesting enzyme and is a great addition to a healthy smoothie. Thanks for the information! Yea, papain (in papaya) and bromelain (in pineapple) are great plant-based digestive enzymes. Both of these can be taken in pill form, or as powders and added to smoothies.